Next week I’m heading back to sunny Florida for Social Fresh East, a Social Marketing conference, featuring speakers like Jay Baer, Jason Keath and Sarah Evans. I love that it’s a single track event with all the speakers in one room, no rushing around, no picking which panels I want to attend and missing out one some due to time conflicts. I can’t wait! Normally, I’d blog some session recaps each night after the conference, but we’ll be in Orlando so I’ll be spending my evenings having a little fun. Once I’m back in the office, I’ll be sharing some great insights from the Social Fresh conference with you. won’t want to miss out so be sure to subscribe to our newsletter. It’s not too late if you want to go to Social Fresh East. Just click here and book your tickets using my affiliate link. Hope to see you there! 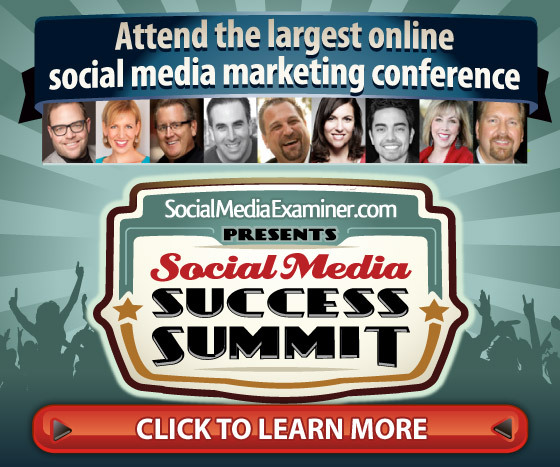 After Social Fresh, I’ll be looking forward to Social Media Success Summit 2014! Naturally, I’ll be sharing what I’ve learned and giving you some real world examples you can use, right here our site. Which social marketing conferences are you headed to this year? Which ones would you recommend? I’d love to know! We had another great Geek Breakfast this morning with lively conversation and great participation. As always, we covered a variety of topics from building membership and interest around Crystal Coast Social Media Club, social media best practices, photo editing platforms, online security, tech support, free resources for businesses, and shared case studies and more. We don’t want to give it all away, we want you to come out and join us! For more information, call us at (252) 226-0885 or post your questions below or on our Facebook page. We’re looking forward to meeting you, July 31st and getting some great conversations started! You’re invited to join us for our monthly Crystal Coast Geek Breakfast, Thursday, March 27th, from 9 AM to 10 AM at The Java Post. We’re quite excited to be a part of bringing the local tech community together, right here along North Carolina’s Crystal Coast. If you’re interested in technology, work in the industry or just want to learn what’s going on in the area, come on out and let’s connect. Everyone is invited, attendance is free (excluding food, beverage and gratuity). Thursday, March 27th, from 9:00 am to 10:00 am and then once a month after that. Stay tuned! Though registration isn’t required, please take a moment to RSVP the Facebook Page at: Crystal Coast Geek Breakfast – March MeetUp so we can get a good idea of how many people to expect. For more information, call us at (252) 226-0885 or post your questions on our Facebook page. We’re looking forward to meeting you, March 27, 2014 and getting some great conversations started! You’re invited to join us for our monthly Crystal Coast Geek Breakfast, Thursday, January 30, from 9 AM to 10 AM at The Java Post. We’re pleased to be a part of bringing the local tech community together, right here along North Carolina’s Crystal Coast. If you’re interested in technology, work in the industry or just want to learn what’s going on in the area, come on out and let’s connect. Thursday, January 30, from 9:00 am to 10:00 am and then once a month after that. Stay tuned! Though registration isn’t required, please take a moment to RSVP the Facebook Page at: Crystal Coast Geek Breakfast – January so we can get a good idea of how many people to expect. For more information, call us at (252) 226-0885 or post your questions on our Facebook page. We’re looking forward to meeting you, January 30, 2014 and getting some great conversations started! You’re invited to the first Crystal Coast Geek Breakfast! Join us Thursday, October 31st, from 9 AM to 10 AM at the Carteret Cafe. I’m really excited to get the local tech community together and talking, right here along North Carolina’s the Crystal Coast. I’ve launched Crystal Coast Geek Breakfast! If you’re interested in technology, work in the industry or just want to learn what’s going on in the area, come on out and let’s connect. A Geek Breakfast is a monthly community-driven meeting for local (and visiting) technology-minded people. Each month attendees congregate over bacon, eggs and plenty of coffee to discuss topics like social media, blogging, digital marketing, design, programming, and ways to better their communities. The official hashtag for this event is #GeekBreakfastSOBX and we hope you’ll tweet it and share it. Additionally, pictures, audio and video should be licensed under Creative Commons and tagged using “CrystalCoastGeekBreakfast” and “GeekBreakfast” and you’re invited to add them to the Geek Breakfast Flickr Group. Though registration isn’t required, we’d love you to RSVP in the comments below or on our Facebook Page at: Crystal Coast Geek Breakfast – October so we can get a good idea of how many people to expect. If you have questions, drop them in the comments below and we’ll be happy to answer them. We’re looking forward to meeting you, October 31st and getting some great conversations started!